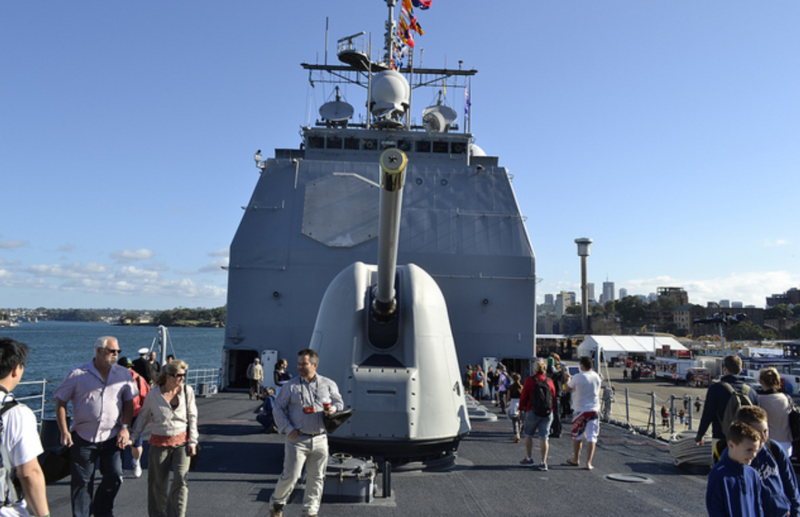 Special Report : International Fleet Review 2013 Part 1. Fleet Review is a show of power of commonwealth Navies and more generally under the inspection of head of state or Monarch, the review itself is a symbol of the Great Union of Naval power, dating back to 15th century, where the king of England would inspect his own fleet before they were mobilized for war and serve as a show of strength to discourage potential enemies. Australian First fleet review was on 1913, where the HMAS leads HMAS Parramatta and HMAS Yarra and a fleet of international warship into the Sydney Harbor. The Australian Naval tradition is an inheritance of Commonwealth Naval Tradition and it was that day, the Independent Australian Navy was born. Being a British Protectorate and recently independent in 1901, the federation of Australia is lacking its dedicated Sea Power, in the old days, the motherland send its naval force south to visit their colonial regularly and up until a point in 18 century, those regular trips become less frequent and the 6 colonial of Australia since then operate their own naval force. The birth of Australian navy can sometime said to be traced back to 1859, when the British Admiralty established a dedicated Australian Squadron from the Royal Navy, before that the naval protection was done via the far east fleet of the Royal Navy, first established Naval base in Sydney Area. After the federation of Australia in 1901. 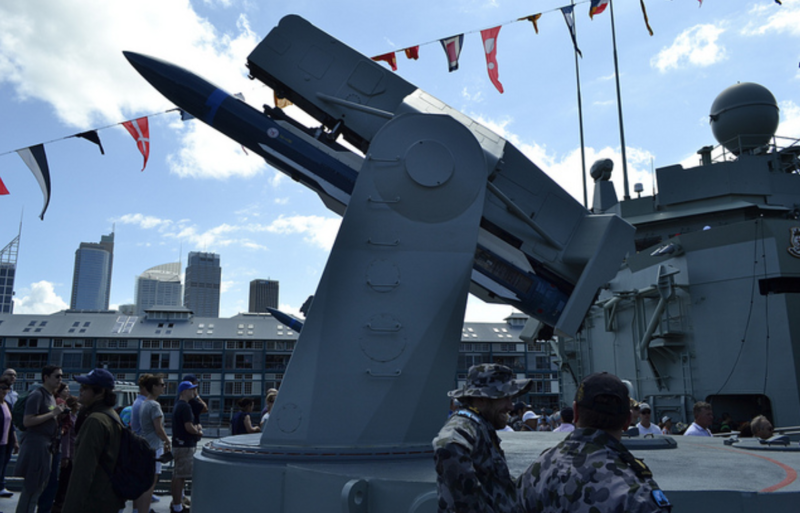 The Royal Navy still have their present in Australia, and since the independent of Australia, there is a growing voice inside demanding an autonomic Navy, that’s one Australian’s Own. However, at that time, the British Envoy was reluctant to allow such force to be created and wishes to hold on to whatever power they got from Australia. On the other hand, the frequent travel of RN ship is no longer a doable operation. The British would only relent and allow Australian to have their own Naval Force, if they were to assign to RN Formation, instead of British Ship, that would be Australian Own Ship. Problem going nowhere as this is too much to ask the Australian, with the problem go south pretty quick, the Australian Navy turn to the American Navy for help. In 1908, the Australian Prime Minster invite the American Great White Fleet to Australia, and that would make the first of many visit from the US Ship, and with the US the frequent guest of Australia, the British was afraid to lose its foothold in South Pacific, and finally agree to help fund and form the Australian Navy, not before they had the Australian Agree to transfer Command of the Newly Formed Australian Navy to the RN in time of War. The first ship that RAN acquired is the HMS Parramatta, a River Class Destroyer, follow with Battlecruiser HMAS Australia. And HMAS Yarra, HMAS Sydney, all were made in the UK, precisely, in Scotland. 3 years after the Formation of Royal Australian Navy, the first taste of blood comes from a form of World War 1. HMAS Sydney battle the German Emden off the South Pacific. As a result, Sydmey sunk Emden after a hard fought battle, and the gun from the Germany Destroyer Emden is still on display as part of Hyde Park attraction. After the WW1, which RAN serve under RN as promised, comes 30 years of silence in South Pacific, by now the Australian Navy was largely independent and with the aid from the US, Australian Navy become one of the best navy in the world and certainly the best navy can offer in South Pacific. The next war for RAN is the WW2, where this time fought side to side with the mighty USN in the pacific campaign. Part of the asset were transfer to Europe but the threat at home is a lot higher to the threat in Europe and majority of the ship stayed behind and defend the strait off PNG. World war 2 ended with lost of 6 ships, one in particular was particularly tragic, the HMAS Sydney II, a light Cruiser, Lost with all hand with the battle with KMS Konmorant. This lost is still remember today regularly and see as the story of scarifies in Australian Navy tradition, this incident rewrite the naval History of Australia. International Fleet Review 2013 is an international Naval Gathering occur during Oct 3 2013 to Oct 11 2013. 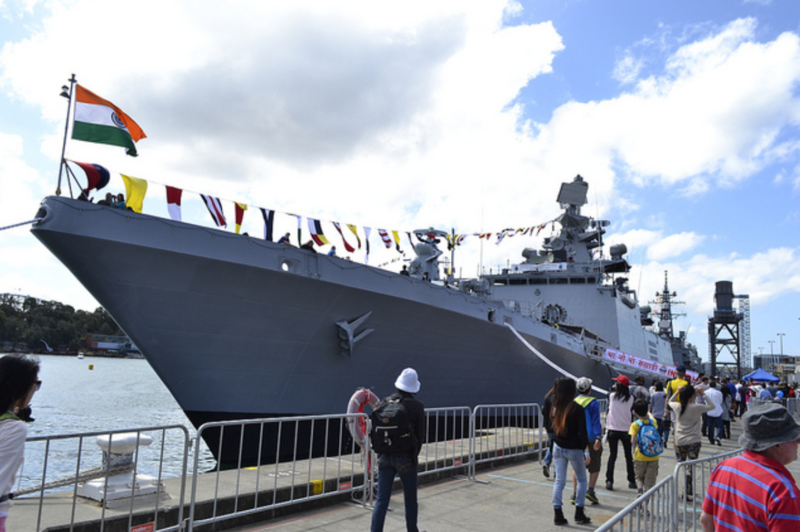 Compare with the original fleet review which happened exactly 100 years ago, the organization has expanded 10 times, while the original fleet review feature 15 warship and 850 sailor, the 2013 review feature 40 warship from 18 different countries and about 8000 sailors. 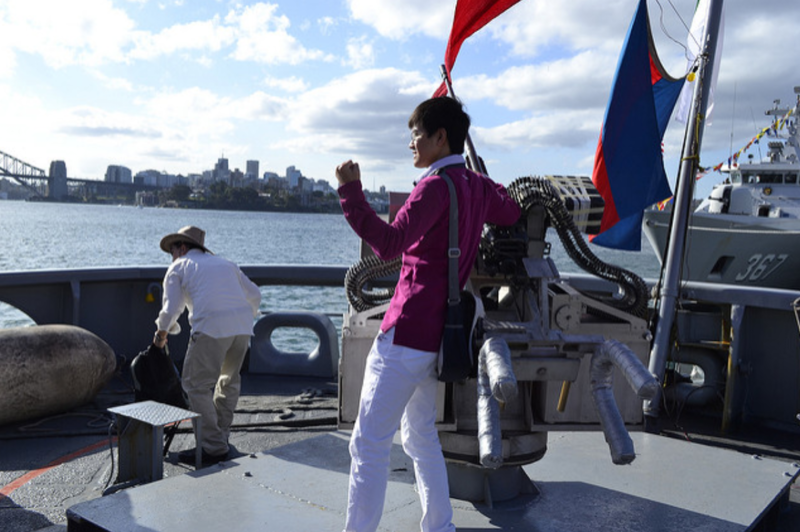 The event starts with a ceremonial right of passage to the Sydney Harbor, then complement with Air show and firework display, and finally finished off with a Warship open day and sport event. The ship were to enter the Sydney Harbor on 6am Oct 4 which is exactly 100 years to the dots from the last fleet review, then on Oct 5, a firework showcase will light up the harbor with the warship in ceremonial formation under the harbor bridge. 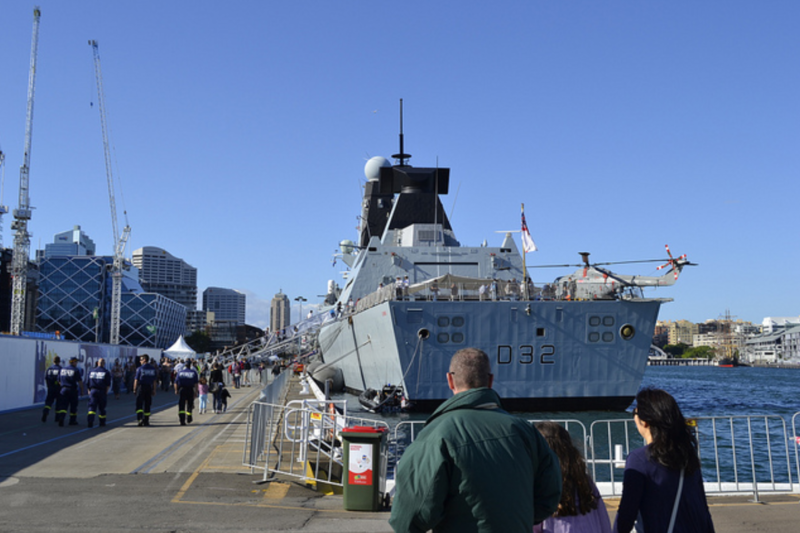 Open days comes on Oct 6  7 and followed by a Naval Conference, International Sporting event, and finally the warship are to depart from Sydney Harbor on Oct 11. 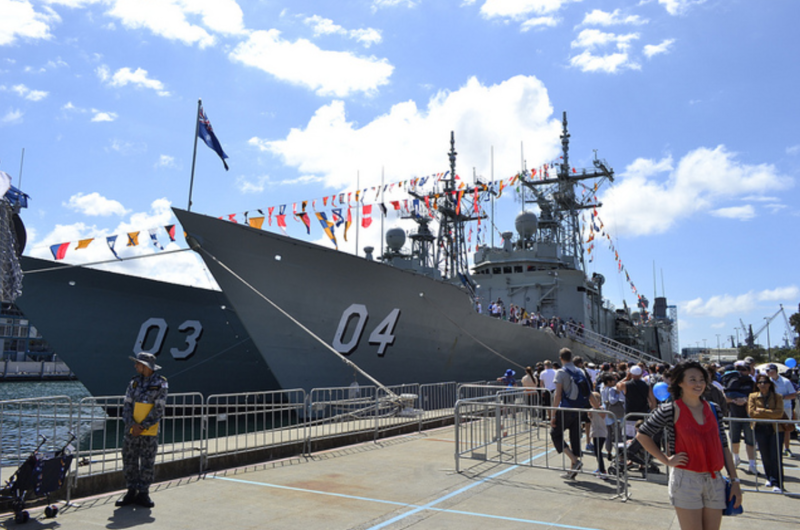 The warship open days were spanned out into 2 location, while a part of the warship was anchored in Kings Street Wharf, Barangaloo, the rest were anchored in the Naval Base in Garden Island, Wooloomooloo. 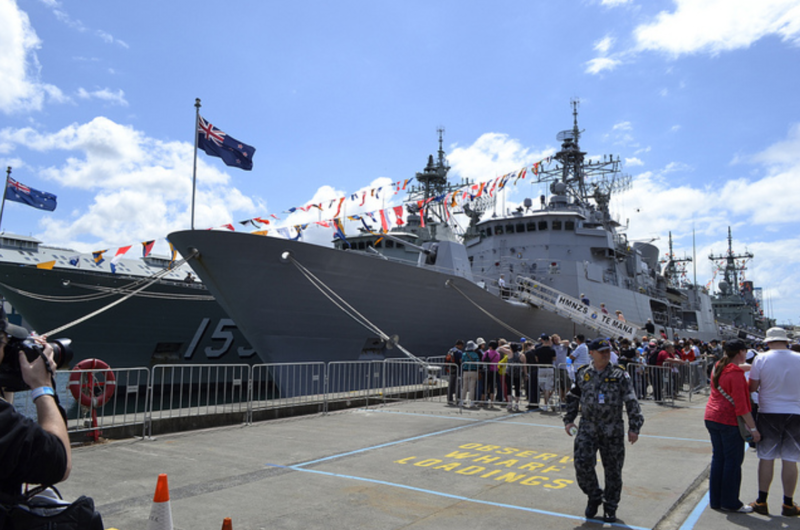 Kings Street Wharf hosted 4 ships from 3 countries, they are USS Chosin from USN, HMS Daring from the RN, HMAS Parramatta and HMAS Perth from Australia. Comment: This ship is HUGE, this is the biggest surface combat ship in the event. The tour bring us from the port side entrant circle around via flight deck and hanger deck and into starboard side of the ship, then hook back via bow of the ship and exist where we got in. Nothing on the inside was open to public, and there are heavy guard preside to guard each hatch connected to the outside of the ship. Talked to some sailor, whom immediately picked up my American Accents. Talk to them about deployment, firepower, and home. It took 45 minutes to finish the tour. 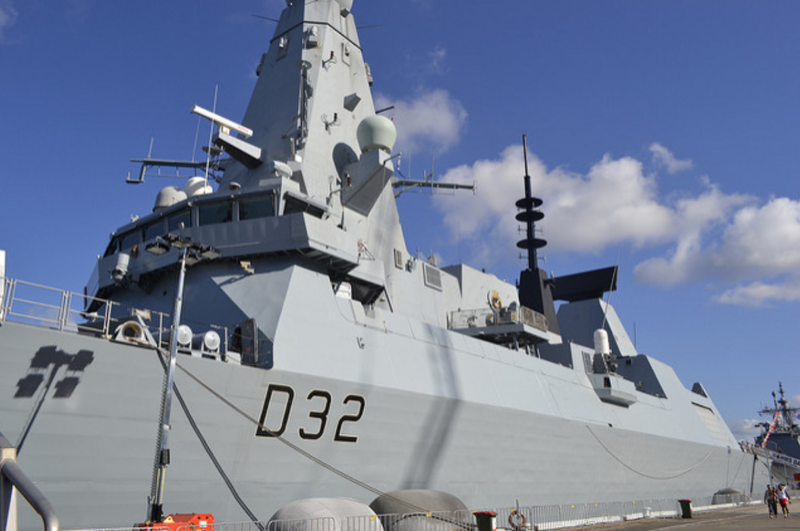 This is the type 45 class ship, which is a stealth ship. Since there are nothing on the outside (Because they are stealth) the tour are concentrated on the inside compartment. 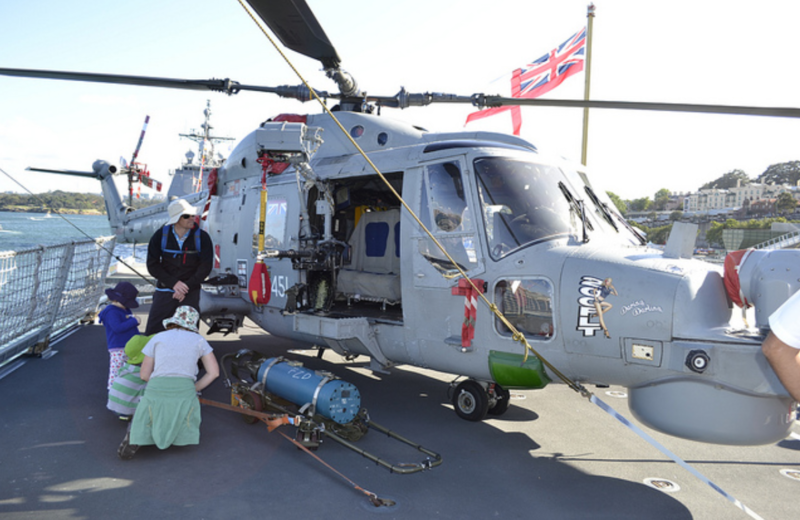 The tour had took us from the stern of the ship, to the flight deck, there we got different exhibit like the Westland Lynx helicopter parked there, firearms review, firefighting equipment and ship capability chart. Followed up inside will bring us to the mess hall, follow by Sick bay (I don’t know why they took us there) and finally the fire control room, although photograph is not allowed in FCS room, I did manage to record a short video inside the FCS. I live in the City of Parramatta, of course I have to visit the ship that bore its name. This is an ANZAC class frigate, work horse for the Royal Australian Navy, ANZAC class is a co-development with the New Zealander and the US which the ANZ design the ship and the US build them. 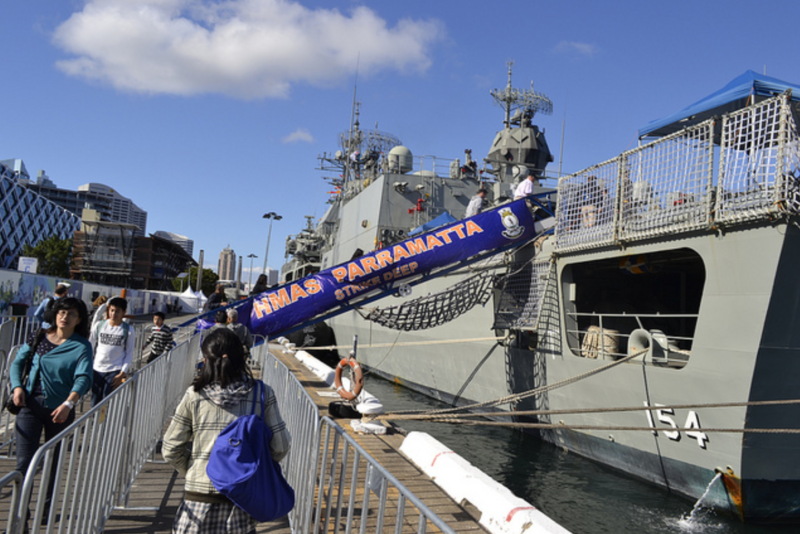 The Ship is moored alongside with HMAS Perth, another ANZAC Class Frigate. 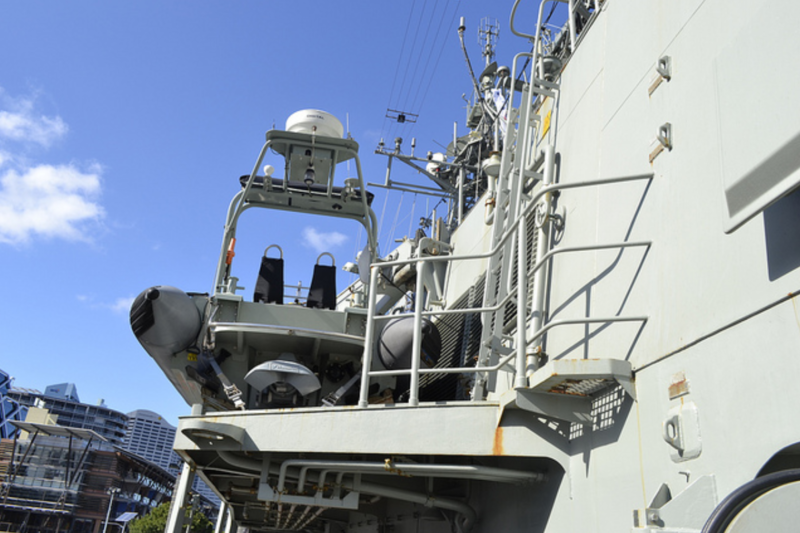 Garden Island is home to the fleet base east, Royal Australian Navy Base East as well as training facility. It was home to 18 ships from the following country, Australia, New Zealand, Thailand, India, Japan, Brunei, Singapore, Spain, Nigeria, France, Malaysia, Indonesia. Comment: Te Mana means Power. Basically a sister ship of HMAS Parramatta, HMAS Stuart and HMAS Perth, but built to standard to New Zealand navy. 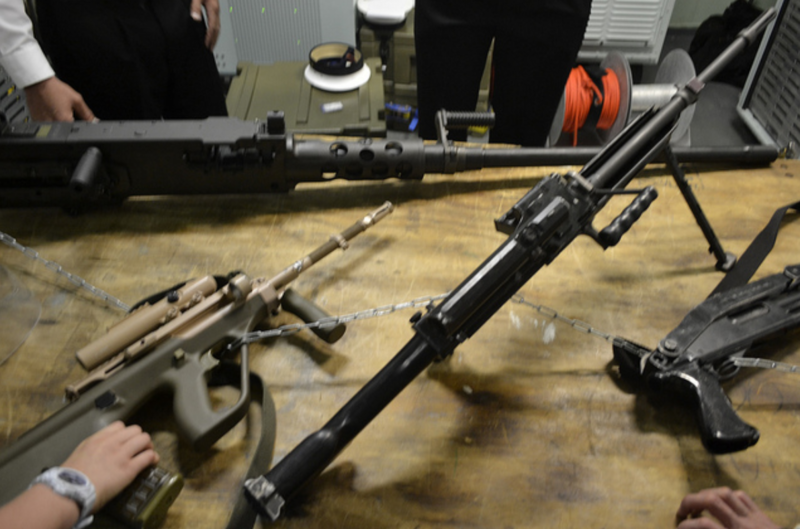 Different between this and the Aussie counterpart is the compartment location and defensive armament. 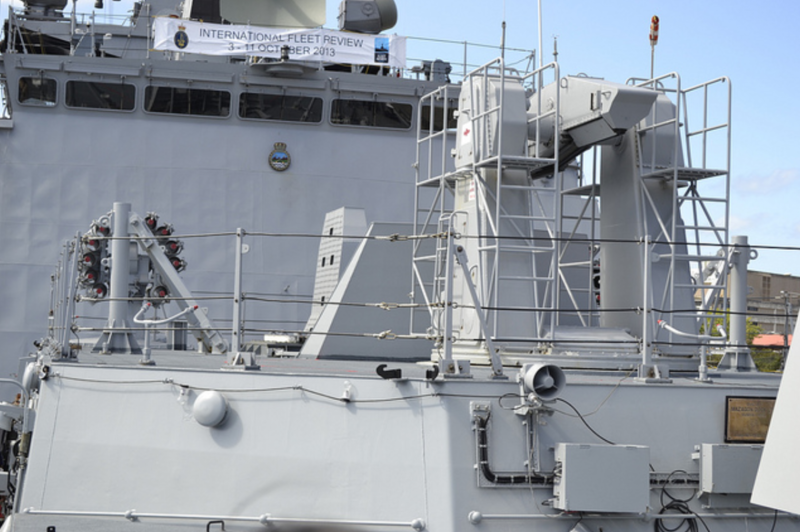 As I recall, this ship have 2 more CIWS than the ANZAC class. 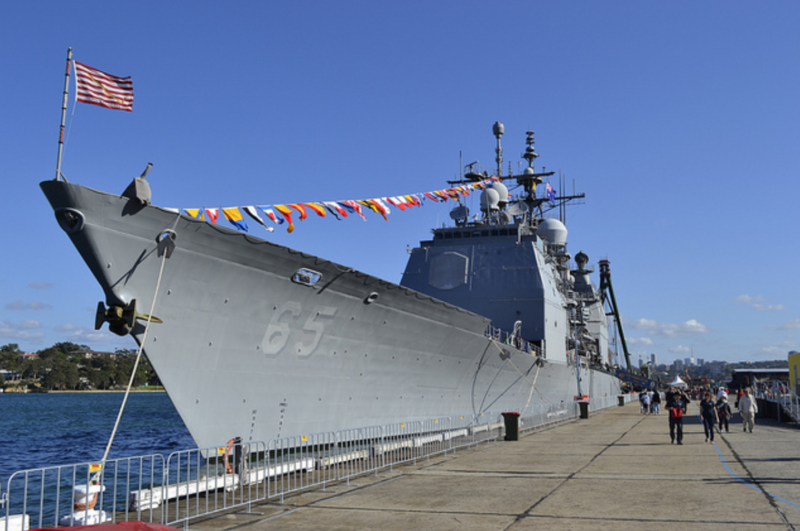 If the USS Chosin is the jewel of Barangaloo, this would be the jewel of Garden Island. Waited for a whole hour before even boarding the ship. 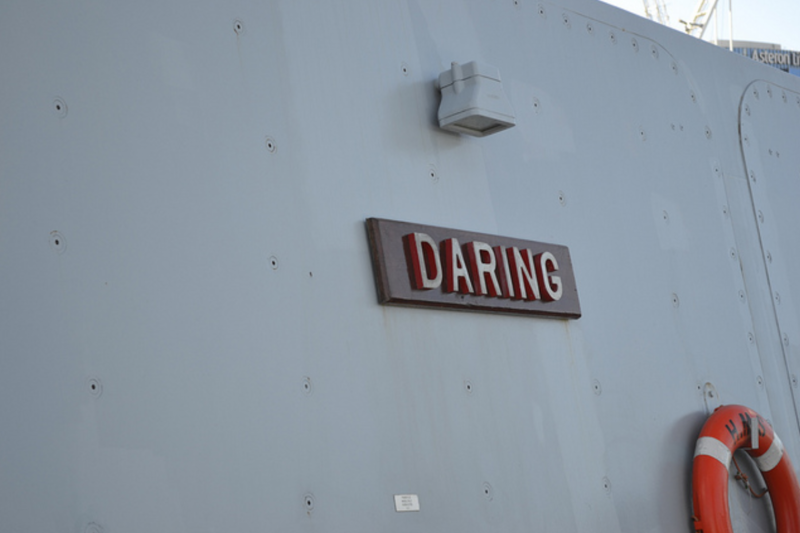 The Darwin and Sydney were a sister ship and moored side by side to each other, you are only allowed to visit one. 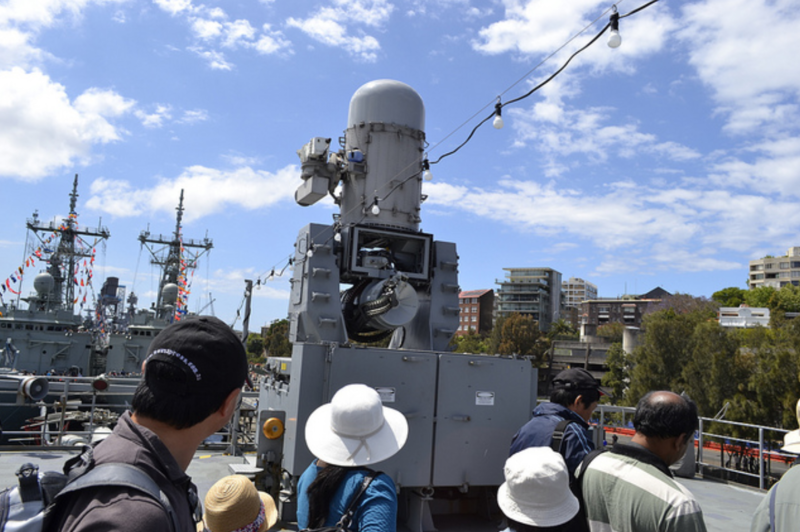 And I took the Sydney mainly because there is a missile demo onboard. 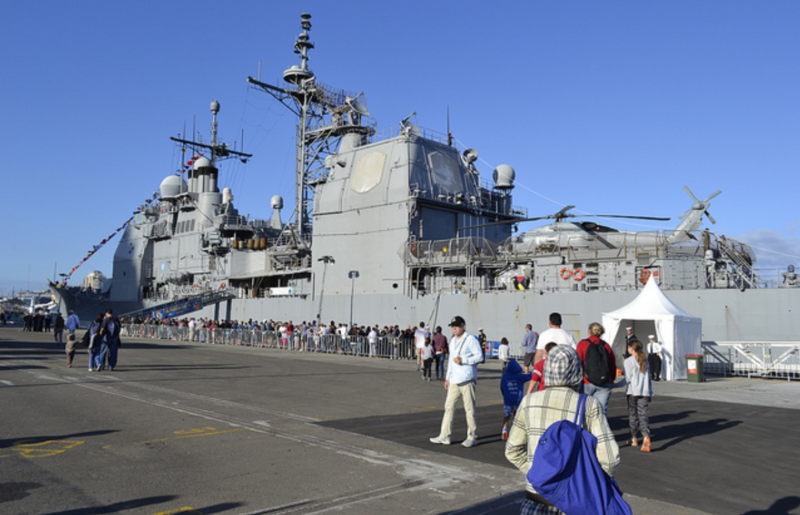 It is the same class as the Oliver Hazard Perry class ship used in the US, Taiwan and Pakistan. It was big for a frigate. 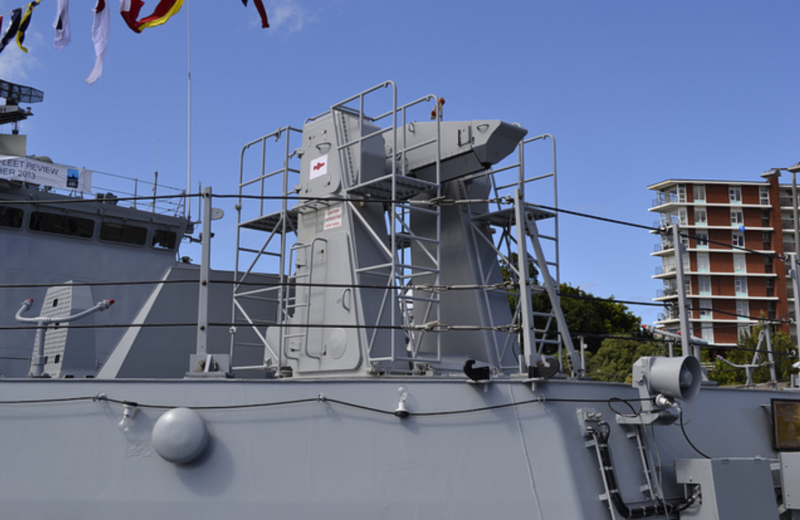 The frigate missile system is the one that give it a “G” Designation. 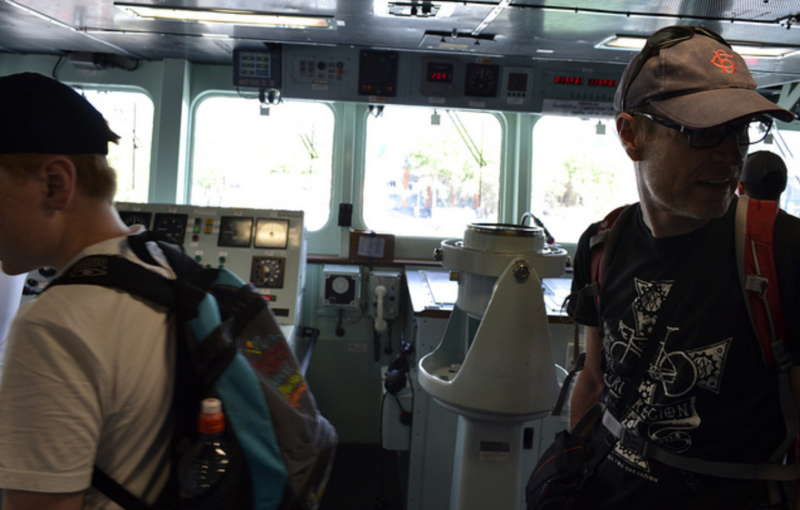 Started out on the port bow of HMAS Darwin, using a gangplank to get to HMAS Sydney. Waited for about 10 minutes for the demo to start. The missile is stored in a silo deep inside the ship, of course you are not allowed to see that. The turret can turn all 360 degree and up to about half a sphere movement. 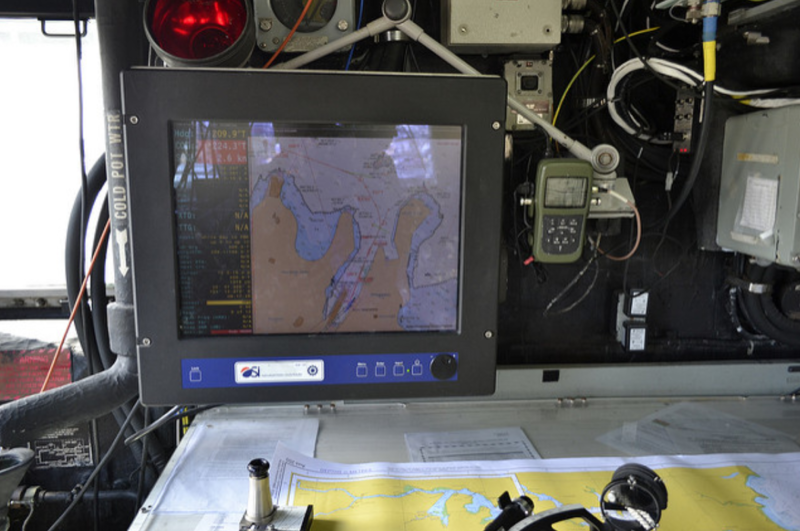 After the missile demo, comes the starboard corridor, which leads to the bridge 2 deck up, the bridge have the steering and navigational unit on display. Exit the bridge will lead you to the OP Deck and climb 1 deck up again and you will reach the superstructure of the ship, where all the antenna and radar were. Going down again will lead you to hanger deck, there are some display on the ship hanger, weapon system, history and such, nothing special. Going out will see the Flight deck, where all the heavy equipment were on display. Exit thru the gangplank connecting the HMAS Darwin again, and then exit the exhibit. 2 × HAL Dhruv or Sea King Mk. 42B helicopters. 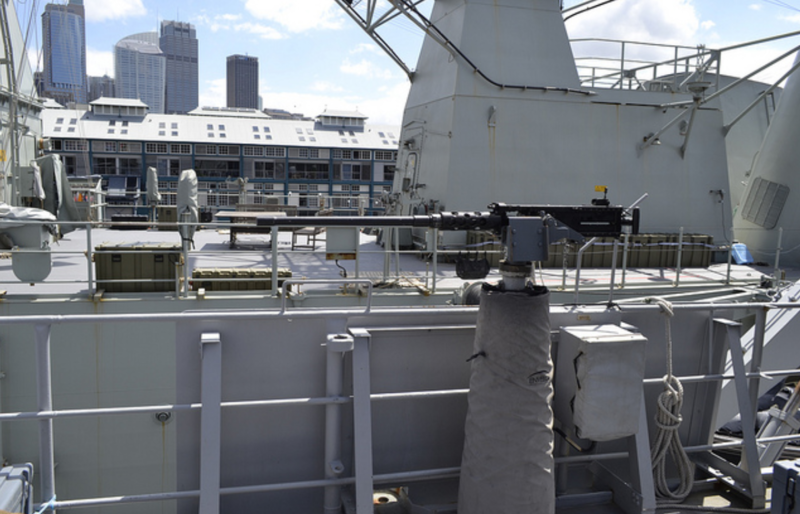 The ship is moored alongside Brunei ship and they let you in from port bow, circle around the guns and missile launcher and comeback to port and enter the inside of the ship. 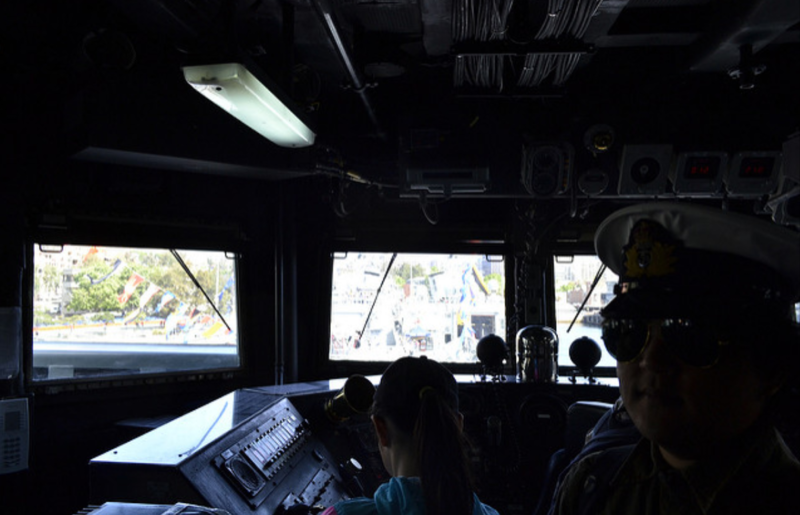 There are only one rule – NO PHOTOGRAPHY, so……well…..
We travel along the ship port and mostly inside, follow thru repair station, then life boat station, and then gone after compartment after compartment and finally will land you outside in the flight deck. 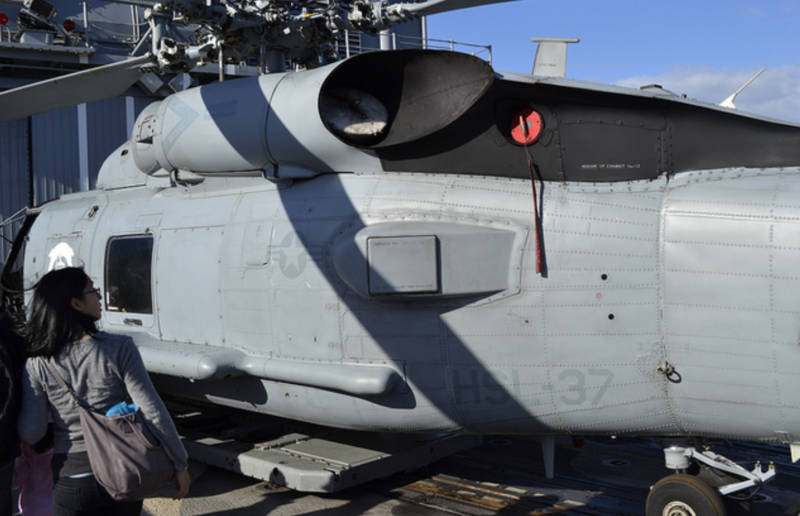 The flight deck again has several display but they stowed the helicopter in the hanger deck. 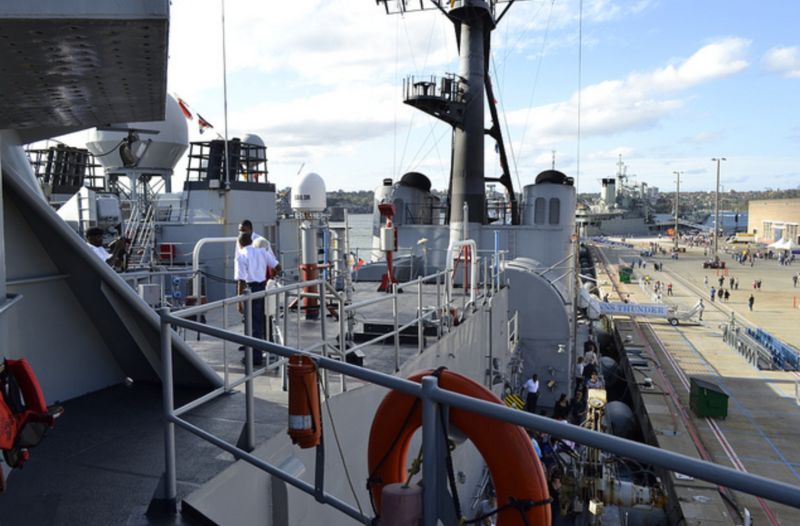 Talk to some sailor onboard and exit thru the flight deck via a footbridge. 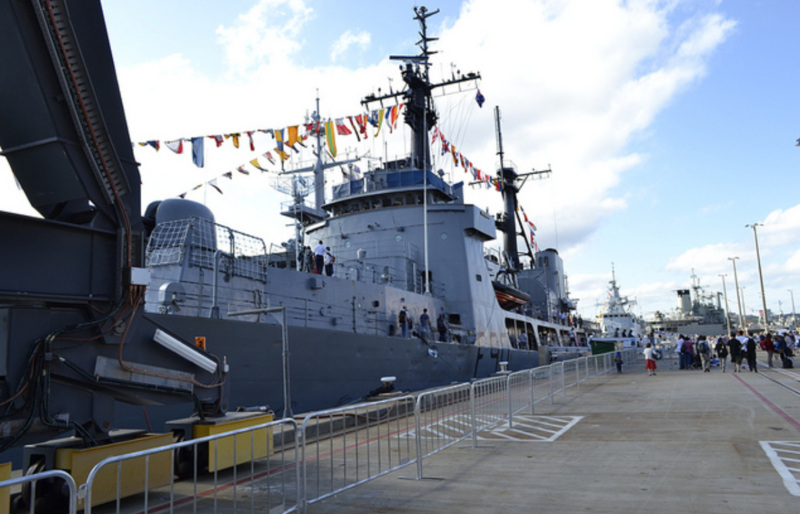 According to the sailor onboard, this was a USCGS Chase, a Cutter gifted by the US government to the Nigerian Navy. Refitted to be a frigate. 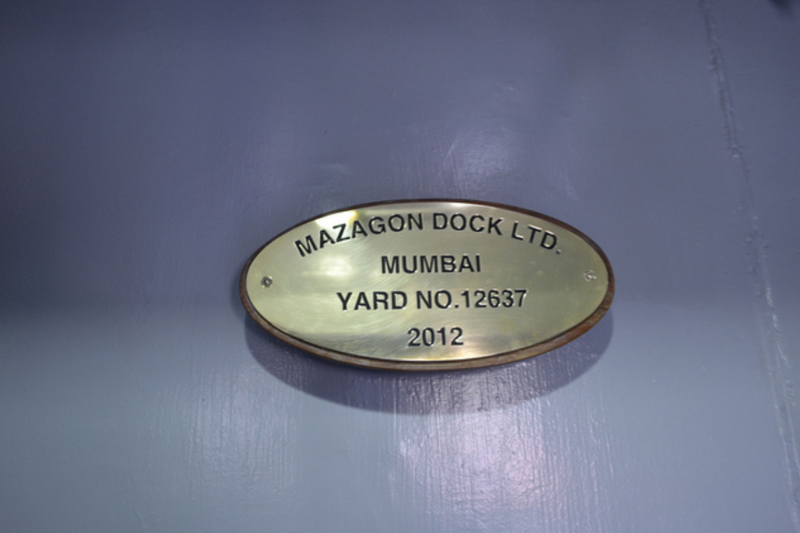 It was moored alongside the French Ship. Start off in the port amidships, and going down to the helipad then you are connected to the French ship and you have to see it first, come back and finish the tour of the Nigerian ship. After I done with the French ship, you going back to the helipad and go one deck up, you are in the OP Deck. You are not allowed to go in the bridge this time, but the window make the bridge quite visible. Descend one deck down, and you are in the lift boat station, and there they have a scorpion with minigun…..
Hook around the bow and you go back out the ship from the ship bow, just behind the giant crane. Previous Post Previous post:Pentagon Denies Knowledge of Cameroon Base Abuses- Despite Being Aware of Reports of Toture. Next Post Forgotten Facts : Nigeria’s Ballistic Missile Program. Part II.